After her master’s death, Caterina, a 15th-century peasant woman who may have been a slave from the Middle East, is seduced, impregnated, and then abandoned by one of her former master’s wealthy friends. She bears a son. When rumors of the boy’s extraordinary intellect and artistic talent spreads, the previously indifferent father whisks the five-year-old child away from his mother. 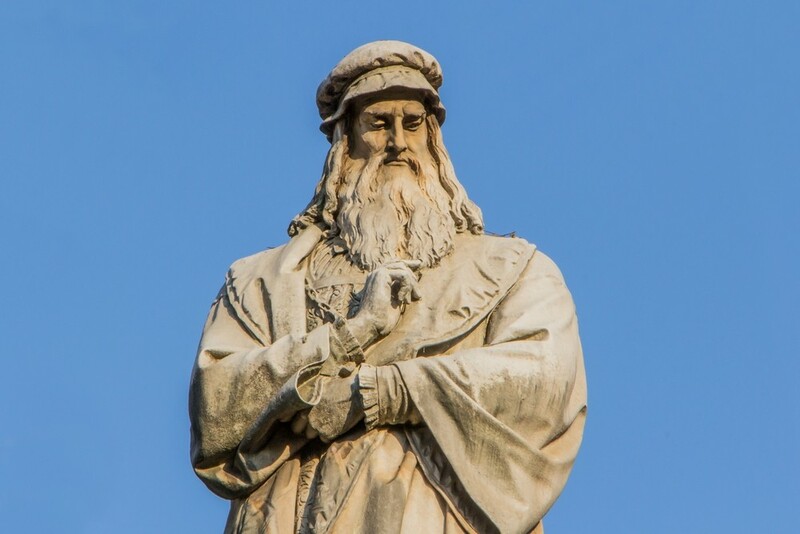 The boy, Leonardo da Vinci, grows up to be the ultimate Renaissance man: a sculptor, architect, musician, scientist, mathematician, and perhaps the greatest painter of all time. It’s a terrific story, and historians love to ponder the life of the man who is arguably the most diversely talented person ever to have lived. Little is known of da Vinci’s childhood or his relationship with his mother, but according to art historian Angelo Paratico, the woman the artist portrayed in his masterpiece the Mona Lisa might in fact be Caterina. Paratico is not the first to make this claim: Sigmund Freud himself drew similar conclusions in his 1910 essay, “A Childhood Reminiscence of Leonardo da Vinci.” Just as Mona Lisa’s identity has been an enduring mystery, da Vinci himself is often regarded as mysterious. Later in life, he only recorded a few memories from his childhood, but one, which he regarded as an omen, is striking: in it, a kite drops from the sky and hovers over da Vinci’s cradle, its tail feathers brushing his face. One can only wonder what Caterina might have made of that.